Wet and wacky winter weather may wreak havoc on the almond crop, but UC Cooperative Extension advisor Franz Niederholzer has promising words for farmers concerned about adequate pollination, reported Heather Hacking in the Chico Enterprise-Record. “You don't need them to all be pollinated,” he said. A pollination rate of 40 percent would make a great year. Twenty five percent will still produce a decent crop. The heavy rain, wind and cold temperatures that have characterized January and February 2017 could be overcome with just a bit of warm, sunny weather. In Chico, the weekend of Feb. 11-12 were sunny, as was Saturday the 18th. Those were good days for bees to fly. 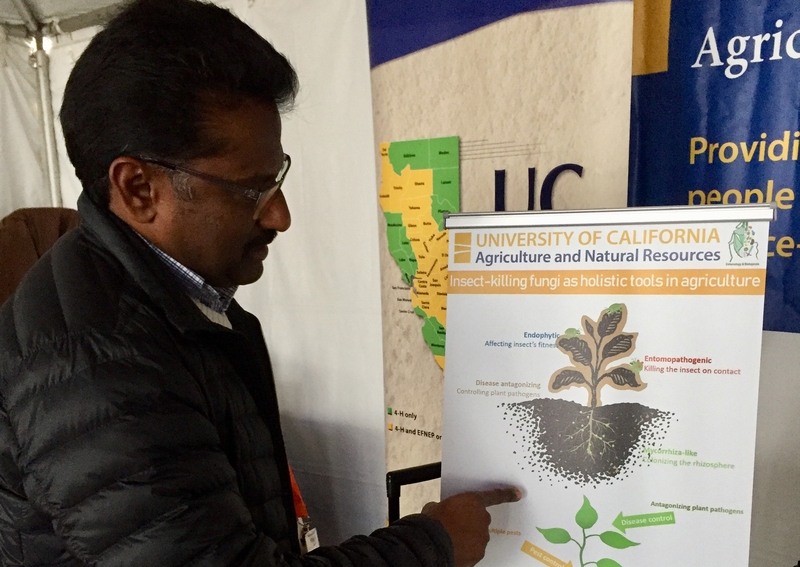 Fungus is also a concern, said Danielle Lightle, UCCE advisor in Glenn County. Typically farmers watch the weather and spray fungicides before it rains. However, the persistent rain made orchard floors muddy, unfavorable conditions for moving heavy spray rigs. Farmers who have been in the business for a while know that the golden rule is to “control what you can and let go of what you can't,” Lightle said. 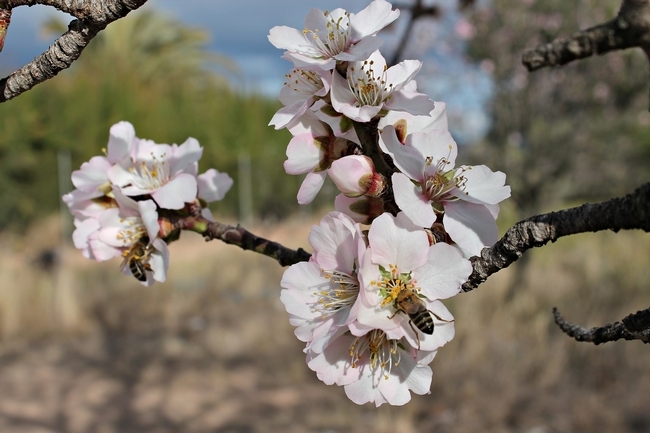 A bee pollinates an almond blossom under sunny skies. Nickels Soil Lab invites farmers to an annual field day each spring. 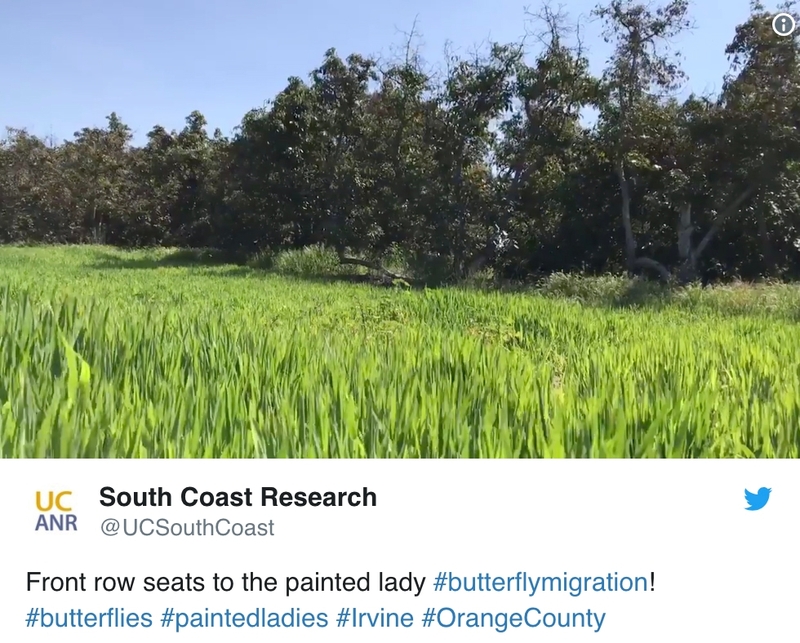 A UC Cooperative Extension research orchard south of Arbuckle is facing some of the same challenges as its neighboring farmers - drought-induced water shortages, reported Andrew Creasey in the Appeal Democrat. 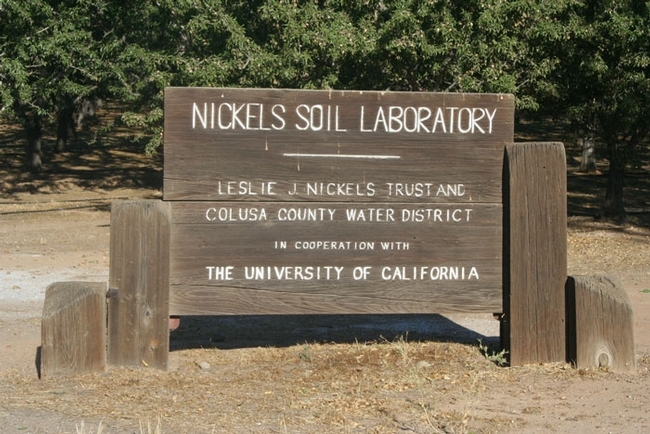 The Nickels Soil Laboratory was created when local farmer Leslie J. Nickels donated his estate to UC for agricultural research in the 1970s. The primary crop on the ranch is almonds. Researchers use the facility to study irrigation systems, root stocks and pruning methods. However this year, a lack of water is jeopardizing research aimed at water conservation. Franz Niederholzer, UC Cooperative Extension advisor for Sutter and Yuba counties, said a UC Davis professor has spent three years studying a new irrigation method at the site. However, a lack of irrigation water this year could have caused trees, and the research, to suffer. After this summer, the professor should have enough data to start drawing conclusions, as long as there is water, Niederholzer said. CBS News in Sacramento ran a story about the situation at Nickels. Almond farmer Pat Gallagher shared his appreciation for the work done by UC Cooperative Extension scientists at the facility. 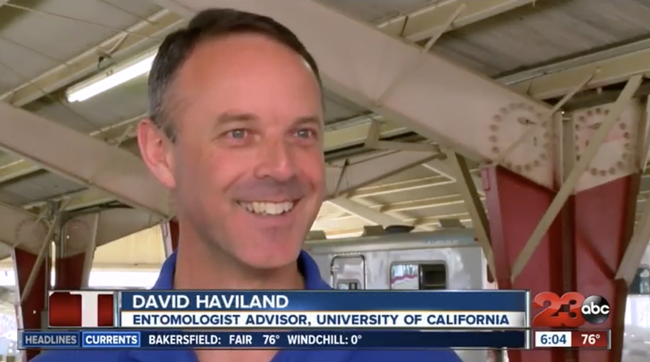 CBS News also used its weather report to cover the threat posed by drought to Nickels' research. Weatherman Ian Schwartz presented the forecast from a Nickels almond orchard. "This is a giant science experiment," Schwartz said. "They try to find out how much farmers should irrigate, what they should change. The problem is, just like the rest of the farmers here, they have had their water cut by the state and federal government and had to buy water on the open market. They think they're going to be able to get by."